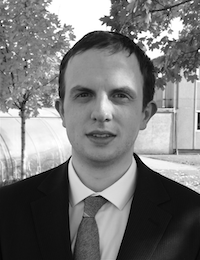 Brian is a post-doctoral mechanical engineering researcher working at MaREI, University College Cork. Brian works in the areas of renewable energy development, mechanical turbine design, structural analysis and computational fluid dynamics using high-performance computing clusters. Brian is currently working as a mechanical engineer on the H2020 funded TAOIDE project, which aims to increase the performance and reliability of ocean energy devices through the development of the electrical systems. This research is being undertaken in collaboration with a number of key industry partners including Ocean Renewables Power Company (ORPC) Ireland Ltd., Fraunhofer IWES-KS and SKF (UK) Ltd.
Brian works on the development of the experimental test rig for the electrical PTO of the tidal system, including the generator, gearbox, PLCs, industrial drives, as well as testing the mechanical bearings and seals in a closed water system using specialised sensory equipment. See http://www.taoide.eu/for more details. Brian graduated with a BEng (Hons) in Mechanical Engineering from the Cork Institute of Technology in 2014. During this degree, Brian worked with Liebherr Group, a leading manufacturer of maritime cranes. Brian completed a research project with Liebherr and was awarded the Institution of Mechanical Engineers Best Project Bronze Medal in recognition of his academic achievement. In 2018, Brian completed a PhD in Mechanical Engineering. This research focused on the aerodynamic design and optimisation of an offshore floating H-type vertical axis wind turbine (VAWT). Computational Fluid Dynamics (CFD) simulations were utilised with the Irish Centre for End Computing to successfully predict the VAWT performance. Brian introduced a CFD model to accurately predict the flow physics experienced by VAWTs at high Reynolds numbers. Furthermore, low-order mathematical models were created to achieve greater accuracy and progress the current state of the art. Brian introduced an analytical tool for the structural design and analysis of composite VAWT blades. Brian also collaborated with international researchers on the VAWT stall regulation design and electrical system control. During Brian’ PhD (2014-2018), he was an Assistant Lecturer at the Cork Institute of Technology and he successfully delivered several classes in the Mechanical Engineering Department. Brian co-ordinated class group activities and prepared teaching material. Brian was a project mentor to several undergraduate and master student projects during this time also. Brian also worked as a STEM Ambassador to promote engineering as a career to second level students. Further information can be found on Brian’s LinkedIn, Google Scholar, ResearchGate and ORCID profile.